South Wales Gliding Club01291 690536work GlidingA members club enjoying some of the best conditions and scenery in the country. We always welcome new members or people looking for a trial lesson for that special occasion. We are well established, gliding from Usk for over 25 years. We own our field and our equipment has recently been upgraded with the help of a grant from Sportlot. A members club enjoying some of the best conditions and scenery in the country. We always welcome new members or people looking for a trial lesson for that special occasion. 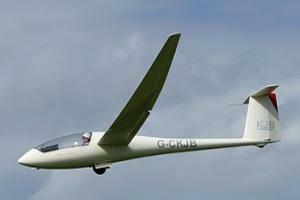 We are well established, gliding from Usk for over 25 years. We own our field and our equipment has recently been upgraded with the help of a grant from Sportlot. Generally we operate a club flying at weekends throughout the year and group trial lessons 2 evenings a week during the summer. However, on a good soaring day during the week you will probably find a launch is available.